Geert Jan Lensen (1921–2004) was born in Holland. He began a degree in geology at Leiden University, but left after the Germans invaded in 1940. He escaped to England, where he joined the Royal Air Force and trained as a weather forecaster. After the war he worked in Indonesia, then emigrated to New Zealand with his wife and daughter in 1950. He adapted enthusiastically to New Zealand life, and was henceforth known as Gerald. In Greymouth, Lensen became friendly with a number of geologists, including Harold Wellman, who recognised his talent. 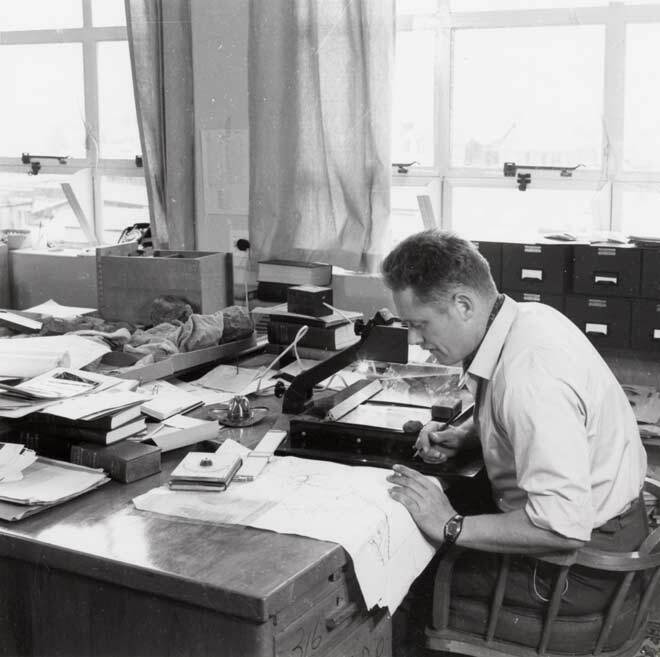 In 1952 he joined the New Zealand Geological Survey, Department of Scientific and Industrial Research (DSIR), as a technical assistant to Wellman, who trained him in the interpretation of geology from aerial photographs. In a few years Lensen had developed expertise in identifying and mapping active faults, and was partly responsible for the design of the Manor Park subdivision in Upper Hutt, which is built across the Wellington Fault. In 1965 he was one of a group that made the first attempt at zoning New Zealand for earthquake risk, based on the distribution of active faults. Controversial at the time, this is now widely accepted. In the early 1970s there was a move to co-ordinate studies of present-day deformation of the New Zealand region. Lensen successfully built up an interdisciplinary group within the Geological Survey, and applied their work to issues of planning and public safety. Although he retired from the DSIR in 1981, he remained interested in earth deformation issues relating to public safety. He was regarded by politicians as a gadfly because he protested about siting of the Clyde Dam close to an active fault. Shortly before he died, his efforts led to a report by the parliamentary commissioner for the environment on the problems of developing land close to known active faults, and the subsequent development of planning guidelines.